This year's bonus movie is the holiday classic A Christmas Story (G) at 1 p.m. and 7 p.m. on Wednesday, Dec. 12. Admission to the bonus movie is a free-will offering and/or a food drive donation (barrels available for food contributions – monetary contributions will also go to the food drive). 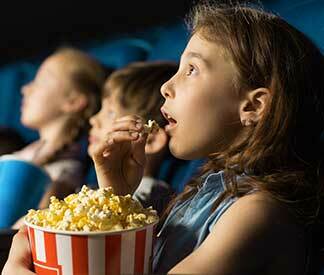 Designed to offer movie-goers the experience of viewing time-honored American Film classics on the big screen, The Classic Movie Series is hosted every spring and fall by the Lindo Theatre in Freeport in partnership with the Stephenson County Historical Museum and Highland Community College. Join us to officially kick off the holiday season after Downtown Freeport's Mistletoe Walk at 5 p.m. Sunday, Nov. 18 by lighting the Community Holiday Tree in front of FHN Memorial Hospital. Cookies, cocoa, and some special visitors are a great way to start the season! Enjoy the FHN Community Festival of Trees from December 3 – 29 at the Freeport Public Library (100 W. Douglas Street, Freeport). This popular free event brings non-profit organizations together to decorate trees and compete for cash prizes. A panel of judges will award prizes in a number of categories, and you can vote for your favorite in the People's Choice competition through Saturday, Dec. 15. The trees will be on display through Saturday, Dec. 29. Each year, during the first week of the Community Festival of Trees, we celebrate with a special free performance. 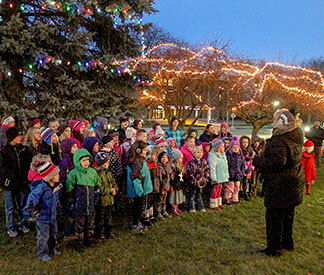 Join us at 5:30 p.m., Monday, Dec. 3 at the Freeport Public Library for some holiday music from the Highland Youth Choir. No charge or reservation required. 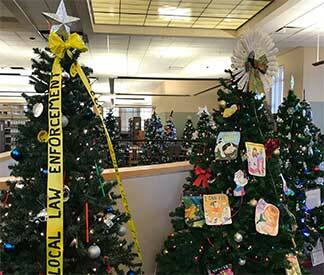 Enjoy holiday trees decorated by local service organizations, clubs and church groups competing for prizes. Vote for you favorite tree December 3-15! 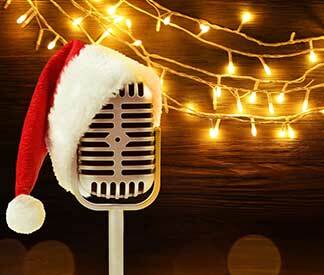 Singin' at the King brings school and group choruses from across northwest Illinois together for a night of music beginning at 5:30 p.m. Thursday, Dec. 6 at the King Community Campus, 511 S. Liberty Avenue, Freeport. The suggested admission price is one canned good or other food item for the FACC food pantry per person. Santa will be there too, so make sure the kids have their list ready! Join Big Radio, FHN, Highland Community College, and the Salvation Army for a Festival of Giving from 6 a.m. to 6 p.m. Friday, Dec. 7 at the HCC Student Conference Center. Big Radio will be doing live broadcasts from the event. 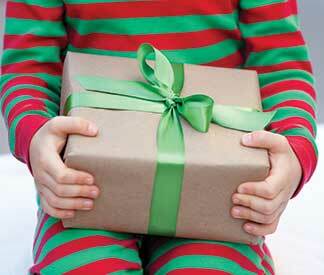 Donations of toys and money will be accepted throughout the day to benefit underprivileged children in our area. For more information on how you can help a needy family during the holidays, call the Salvation Army at 815-275-7265. 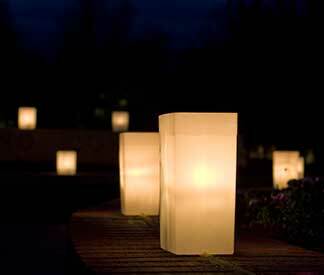 Enjoy the beauty of Freeport's Stephenson Street and Lincoln Boulevard area on Luminaria Night Sunday, Dec. 16. Residents of the neighborhood around FHN Memorial Hospital decorate their sidewalks with luminaria to celebrate the season. 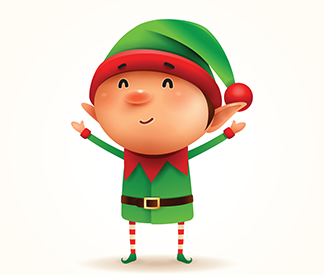 Santa has set aside some time to visit with area children - every child who visits with Santa as part of a Festival of Trees event will receive a small holiday gift from FHN. 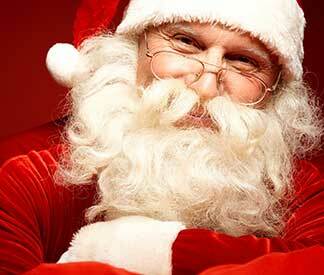 There's no cost to visit with Santa, and he can usually be found at the Freeport Public Library. Sunday, Nov. 18, 1 – 4 p.m.
Tuesday, Nov. 27, 5 – 7 p.m.
Saturday, Dec. 1, 1 – 3 p.m.
Tuesday, Dec. 4, 5 – 7 p.m.
Thursday, Dec. 6, 5 – 7 p.m.
Saturday, Dec. 8, 1 – 3 p.m.
Tuesday, Dec. 11, 5 – 7 p.m.
Saturday, Dec. 15, 1 – 3 p.m.
Tuesday, Dec. 18, 5 – 7 p.m.
Thursday, Dec. 20, 5 – 7 p.m.
Saturday, Dec. 22, 1 – 3 p.m.